Do I get the scry effect of Anchor to the Aether if the target is sacced? That Priest of Forgotten Gods is going to be so f'n great, like whoa. 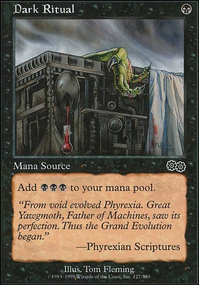 It makes me think that even though the sac outlets for standard are still missing a free one like Nantuko Husk or Viscera Seer the strategy is still shaping up big time. 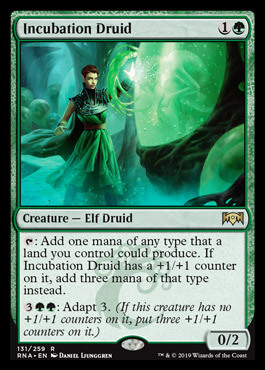 Totally rad it does it all: adding mana and drawing a card and forcing creature sacrificing and doing damage to opponents all in one effect. 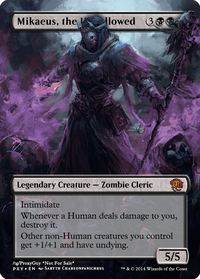 Super duper hyped to play it in my Mazirek, Kraul Death Priest edh deck. 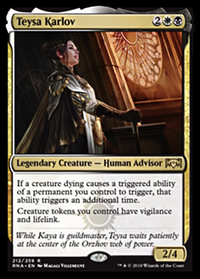 Orzhov Depositor is another quiet standout, its great sac fodder. 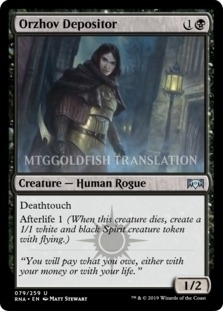 I'm fairly certain its a playable standard card, and its going straight in my Mazirek deck too. Here is the deck by the way: Mazirek Sac-Storm: The Contraption of Life & Death I'm currently the #2 Mazirek deck on tappedout, so upvotes are very appreciated. Number 1 hasn't updated his list in like 3 years, so I will probably pass him eventually. 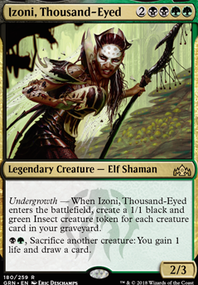 I'm also super hyped for Incubation Druid, it reminds me of a more expensive Joraga Treespeaker. I always love ramp. And elves. And +1/+1 counters. And ramp. I just built Child of Alara edh with Maze's End combo last month expecting new toys for it. So its fun getting a couple decent "gates matters" cards for that. 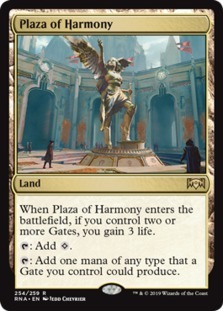 That gate Reflecting Pool land Harmony Square combined with Gateway Plaza could be the core of a mana base for standard. Maybe thats how the gate deck's mana base looks? If there is ever a standard gate deck anyways. 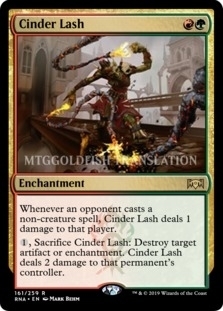 Cinder Lash is totally a cool card to upgrade edh decks with. It reminds me of Aura of Silence but with damage instead of mana taxing. Having cards like this in play can be a nice political tool. 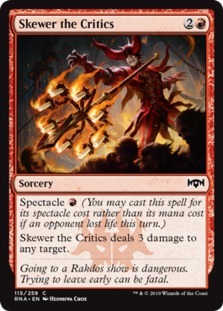 Skewer the Critics will be great in the mono red list I play on Arena. I expect it makes burn a very serious deck again in standard. seshiro_of_the_orochi on "We need more legs"
Seems like a good addition. Maybe also put Nantuko Husk at four and add some Mortician Beetle?